A typically strong field has been comprised once again for a tournament that has long been a staple on the PGA Tour. 7-hour rounds, a lot of celebrity coverage and a three-course rotation, the AT&T Pebble Beach Pro-Am is not for everyone, but it is certainly an event that captures the imagination of many. On top of this being an intriguing tournament in its own right, the main course, Pebble Beach Golf Links, will be the host of this year’s U.S Open. The last time this course played host to a major championship was the 2010 U.S. Open, which Graeme McDowell won by a one-stroke margin, in tough conditions. 10 years prior to McDowell’s win, Tiger Woods completely blitzed the field at this course, winning by 15 strokes, which still remains the largest winning margin in major history. Woods also finished T4 in 2010, so he’ll be hoping for another good run almost a decade on. The field this week includes some of the biggest names on Tour, with Dustin Johnson headlining, as he looks for his third win in this event. This will be Johnson’s first PGA Tour start since his T4 finish at the Tournament of Champions, after playing twice in the Middle East over the last three weeks. Johnson finished T16 in Abu Dhabi three weeks ago, before winning the inaugural Saudi International last week. Also going for multiple wins is Phil Mickelson who has won here four times already, and will be looking to match Mark O’Meara’s record of five wins in this event. Mickelson loves California, where he has won 11 of his 43 PGA Tour titles, and also finished runner-up 7 times. Mickelson had a chance to make it four wins at last week’s Phoenix Open, but was poor over the first two days of play, so he’ll be hoping for a better week at another familiar venue. Jason Day has played this event consistently over the past six years, and in that time has posted four top-6 finishes, 5-top 11’s and only one missed cut. Despite this great run, he has still not made it over the line here. The Australian finished T5 last time out at Torrey Pines. Other notables include European Tour stars, Tommy Fleetwood, who is making his debut here this week, and last week’s runner-up, Branden Grace who plays here for a second time, after finishing T20 on debut. Grace shot a final-round 68 here 12 months ago, which saw him climb 30 places and he’ll hope to take advantage of last week’s form. Monterey Peninsula is known for being the most generous of the three courses, and that was highlighted by an exceptional round of 60, shot by Sung Kang in his 2nd round in 2016, which was a new course and event record over 18-holes. This hasn’t always been the case though, and given the damage that has been suffered due to the winds over the past weekend, Monterey may not be low-scoring course of the week. The record at both Pebble Beach and Spyglass Hill is 62, which have been shot multiple times at both courses. Pebble Beach and Monterey are exposed to the elements, so if there are strong winds, both can become much trickier prospects, and looks likely to be the case this weekend. Spyglass Hill on the other hand is the only course of the three to be tree-lined, but still tends to play the hardest. Par 4 Scoring is also essential this week, with each of the last six winners ranking inside the top-2 for Par 4 Scoring the week they won. Only once in the last eleven years has a winner ranked outside the top-7 in Par-4 Scoring and won here (D.Johnson ranked 24th in 2009). Potter Jr ranked T2 when wining here 12 months ago. The ability to putt well on Poa Annua could also be key this week, with all three courses featuring Poa Annua greens. This can be a leveller for a lot of players, as many prefer different surfaces and these types of greens can get bumpy and come hard to read. The ability to cope in windy conditions, should the weather turn is also hugely advantageous. Given the exposure to the elements, the final round especially can become tricky when trying to fight the wind and the pressures of winnings. Going into last year’s renewal, 6 of the last 10 winners had a previous top-10, but following Potter’s win it’s now 6 of the last 11, so it’s looking more and more likely that this statistic may balance out. With that said, course experience still looks key, and Potter had finished T16 here in 2013. Two of the five players who have won here over the last 11 years without having a previous top-10 are Mickelson, who has since proven his ability here by winning on three occasions, and Brandt Snedeker who before his two wins had finished T8 at the 2010 U.S Open here, so it looks as though course experience and form should still be well respected in this event. In the 82-year history of this event no European has ever won this event and just three international players have ever won this tournament, so it is an event completely dominated by home talent. Tony Jacklin is the only player from Europe to finish inside the top-2 in this event, so whilst trends are there to be broken, it is certainly something to keep in mind. Chez Reavie’s case is obvious this week, and you hardly need me to cover it for you, but I’ll do so anyway. This time last year, Reavie was coming into this event making 8/8 cuts on the season and had just lost out to Gary Woodland in the Phoenix Open play-off. Roll on 12 months, and the situation is largely similar. 8/8 cuts made on the season, T4 at last weekend’s Phoenix Open but better still, two starts ago he also finished T3 at the Sony Open. Three top-7 finishes in his first 8 events of the season, 39th in Greens in Regulation (6th among those who have played 30+ rounds) and 19th in Par 4 Scoring Average (2nd among those who have played 30+ rounds), Chez Reavie ticks the boxes both in terms of form and statistically. Realistically other than the price, which is bound to put people off, the only concern is the lack of winning Reavie has done in his career. One win, which came in his rookie season in 2008 is fairly alarming, however Reavie had some pretty damaging injuries early in his PGA Tour career, but now looks fit to contend for a second PGA Tour title. Two play-off losses in his career means Reavie has come close enough on multiple occasions, and has experience of contending, all of which he can harness here and finally get over the line again, for the first time in 11 years. Shane Lowry enjoyed a great couple of weeks on the European Tour, firstly winning the Abu Dhabi Championship and following that up with a T13 finish in the Dubai Desert Classic. Lowry has generally split his time across both Tours, since winning the WGC at Firestone, and he’s been a steady performer no matter where he plays. The one blight on Lowry’s record is his struggles to get over the line. On a few occasions, most notably the 2016 U.S Open, it’s looked as though Lowry was going to put all the criticism behind him and win another big trophy, but it just hadn’t happened, until his win in in Abu Dhabi last month. Fired up from that win, Lowry will come into this event full of confidence, knowing he’s returning to an event where he’s enjoyed some good weeks in the past. In four starts at Pebble Beach, Lowry has twice finished inside the top-21, and also never finished worse than 43rd. Now whilst a best performance of 14th doesn’t suggest a win is necessarily a given for him here, a previous top-21 and in more recent years a top-16 have been strong requirements for getting a win here, and as he has both of those under his belt, this may be his year. The horrendous weather that’s hit Pebble over the past week could actually play into the Irishman’s hands, and give Europe a chance at their first victory in this event. At 40/1, I am willing to chance that Lowry takes another step towards his ultimate goal of winning major championships, by winning on this year’s U.S Open venue. He’s had two top-10’s in U.S Open’s and when in form is a strong driver of the ball, so the changes made to the course, with the upcoming Open in mind, could actually make the main course even more suited to his game. Sungjae Im has been rock solid so far in his rookie season on the PGA Tour, and came close to winning in his debut, when we backed him to win the Safeway Open. His T4 at the Safeway is still his best finish of the season, but a T7 last week in Phoenix was further evidence that he can pitch up and contend against the best players on Tour. He’s missed just two cuts in his first 10 PGA Tour starts, and he has finished T16 or better in six of them, suggesting he’s taken no time at all to acclimatise to the new level. At the start of the season there were concerns that distance off the tee would hinder him and that is still a slight concern this week, given the wet weather but he’s not let him get the better of him so far, and he actually 44th on Tour in Driving Distance and 18th in Total Driving. The lack of run he’ll get off the tee this week may affect him, given how wet the course has looked early in the week, but as a rule this is not an event where you need to be a long hitter, so he could still go well. 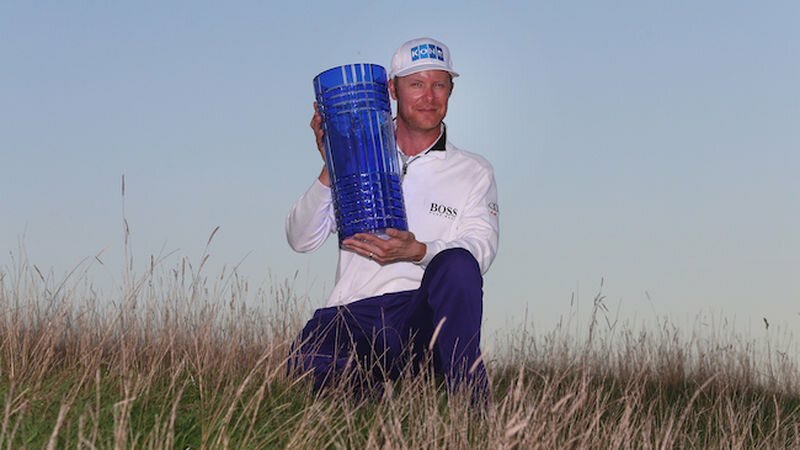 At 66/1 he looks good value given his brilliant opening form so far this season, and whilst results at the RSM Classic (T37) and the Mayakoba (MC) raise concerns about his suitability in the windy conditions, a T16 finish at the Sony Open and 1st and 2nd place finishes in the Bahamas on the Web.com counter those fears. Lucas Glover very rarely puts this event in his schedule, and when he has, there has been little to shout about. Glover made his debut here in 2004 and missed the cut, returned a year later and missed the cut again, and then went on a 9-year hiatus from the event. In 2014 he finally returned once again, and he for the third straight time, missed the cut. You may be wondering at this point why he appeals? Well in 2016, Glover finally made the weekend in this event, and was rewarded with a T11 finish. During that week, Glover shot rounds of 66 and 67, and were it not for an opening round 73, Glover would have posted a top-10 here. Before missing the cut last week, Glover was playing some excellent golf, making his first 5 cuts of the season and finishing no worse than T17 in that span. His best finish of the season came at the Desert Classic (T7), where they also rotate across three courses and play a pro-am format, so that bears well for the week. When T11 here two years ago, Glover had missed the cut the week before, and also went on to miss his next three after, so his effort that year was not dependant on a good result at the Phoenix, so I’m happy to overlook last week’s missed cut. Glover ranks 10th in Par 4 Scoring Average and 13th in Greens in Regulation, which is a perfect recipe to success at this event. Three figures odds about a player who’s playing his best golf in a long time, fits the profile statistically and looks decent value at long odds, certainly appeals here.